I have stayed close to home today checking on a couple of gals that I knew were about to go. This afternoon I went to the shed to find that Hilda had just aborted a fetus that looked like it had been dead at least 6 weeks. I generally have a pretty strong stomach and can jump in and do what needs to be done. 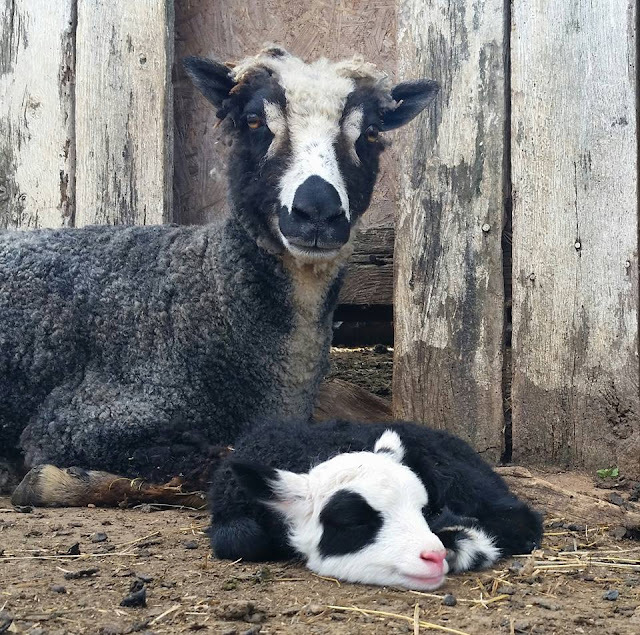 I have pulled numerous lambs and it never has bothered me, but this was a little different. After I got her up in the jug and realized there was another one in there, I was headed down the drive to the feed store for some shoulder length gloves (which I don't normally keep on hand) when my dear friend and neighbor said she would come over. Suffice it to say, it was very unpleasant, but she jumped right in and pulled a really huge live ram lamb. 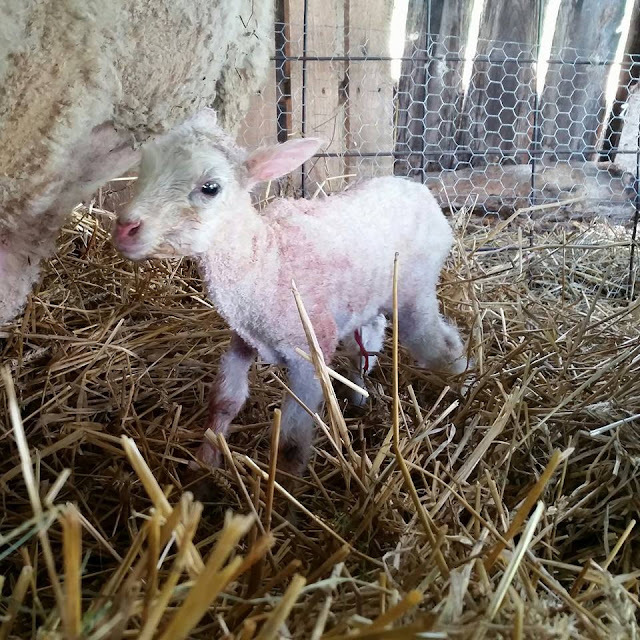 Afterwards I ran to town for some medicine, came back and moved momma and baby to a different stall, cleaned up the infection and nastiness that was all over the lambing jug. This afternoon I have a new appreciation for good friends and warm showers. It's all part of farm life, but the good friends help make it a joy. 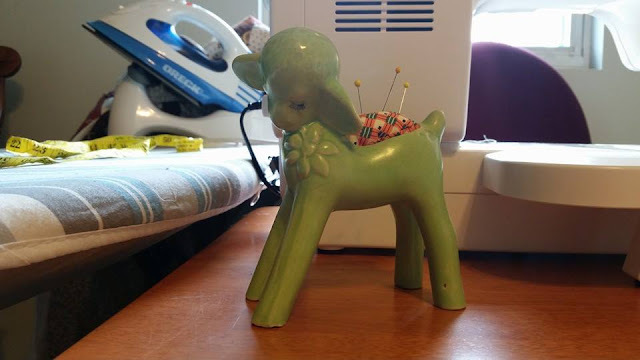 Since there has been a lull in lambing I've been busy setting up my new sewing room. Our youngest moved to CA Wednesday to join her husband who is out there in the military. 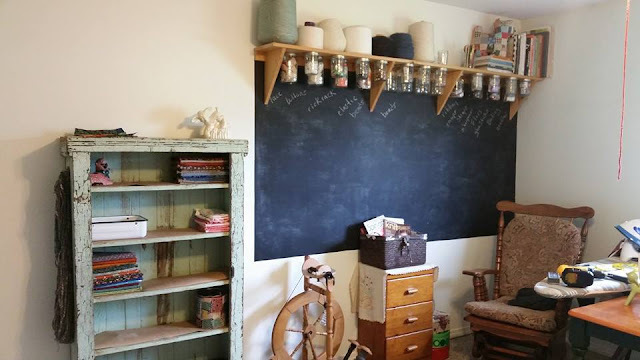 Since then I have been busy repainting her room and setting it up as my sewing/spinning room. I still have much to do, but it's been a good project to keep me busy. 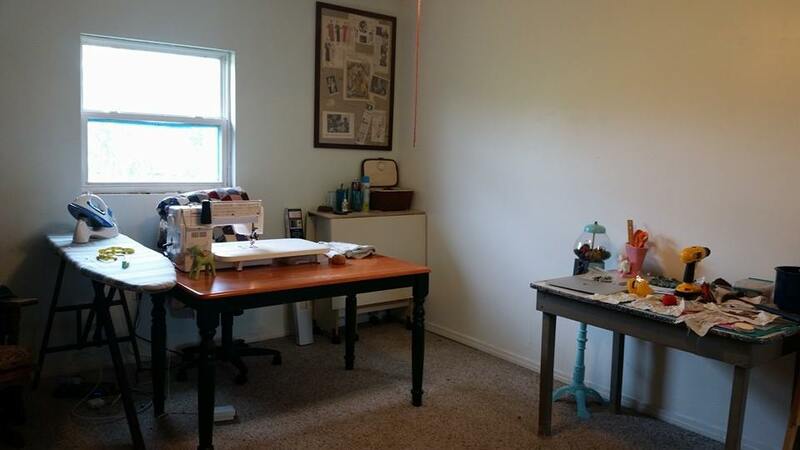 I am going to add a design wall to the right of the sewing machine. So far all the furniture in here has been salvaged, gifted, or purchased at thrift stores. I figured up I have less than 100$ into all of it. YAY! It's my dream room. 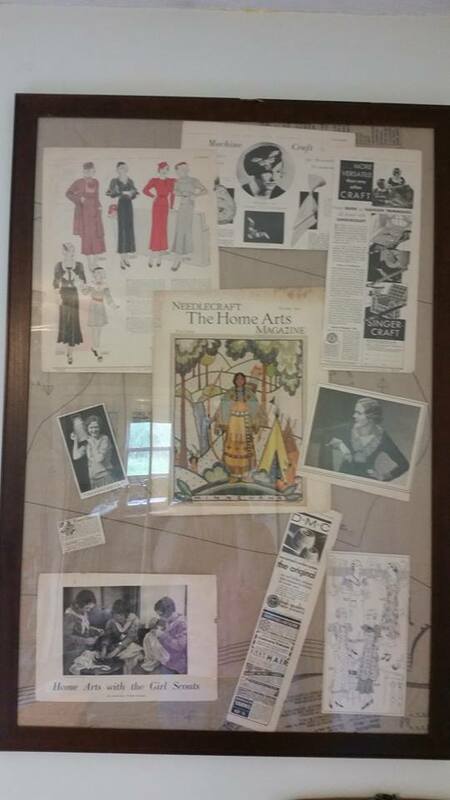 I made a collage from an old 1933 sewing magazine that I found at an antique store and framed it in an old poster frame with a couple of sheets of pattern paper under it. 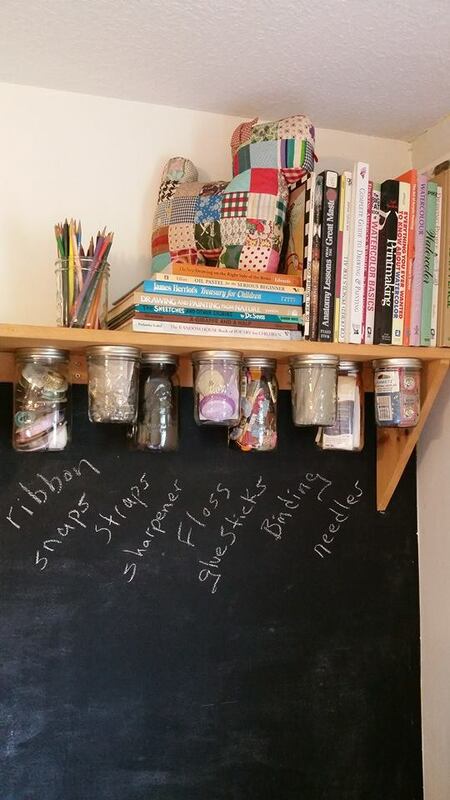 I added a dozen quart and pint size jars to the shelf that was above our daughter's black board area for storing small things. 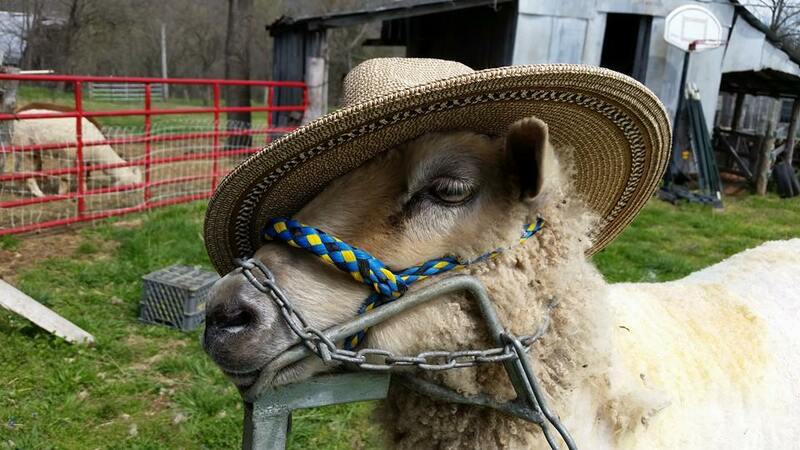 Of course I had to have a little Lambie goodness in there some where. 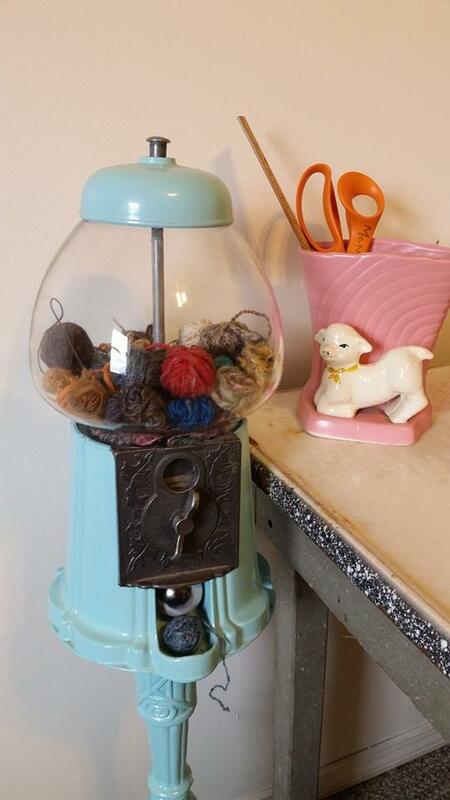 I am repurposing Jana's old gum ball machine for small yarn balls. 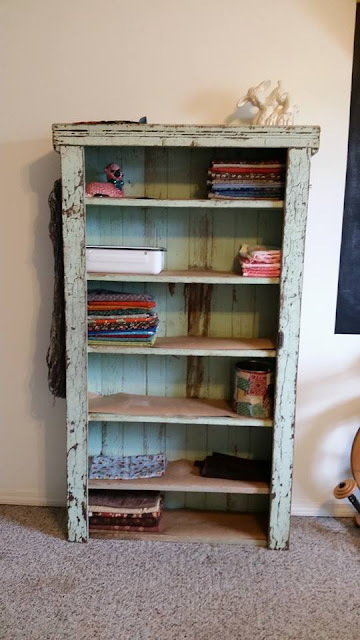 You will remember the old shelf I salvaged from one of the barns. And this is a piece from an old ladder I found in one of the barns. 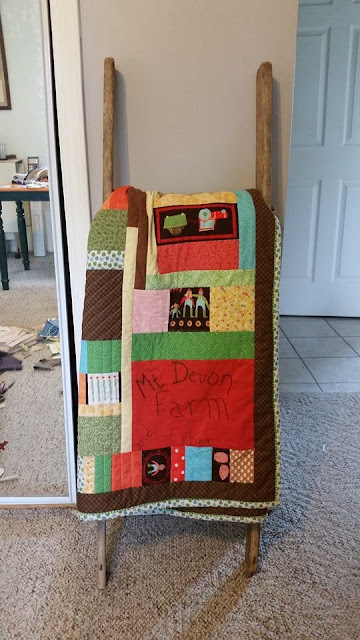 I hung my farm quilt on it. 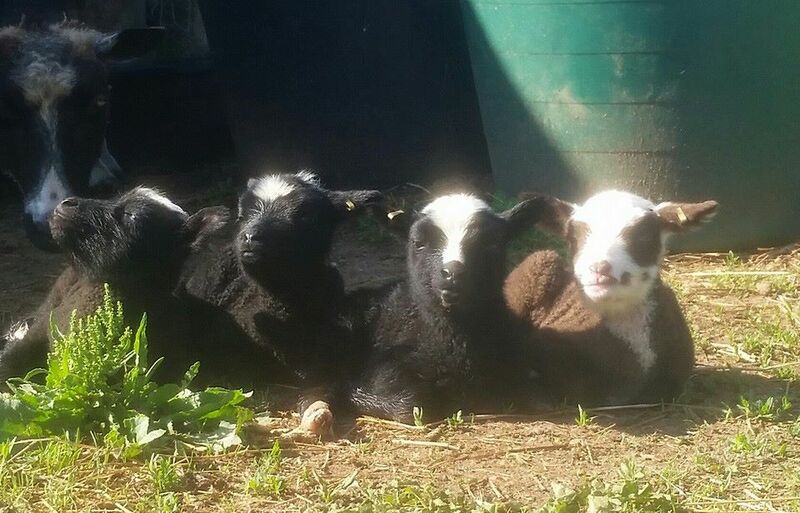 The quads in the sun soaking it up. The little gal on the right is named Beulah. She is definitely a keeper. We have had two sets of twins, one set of triplets, and one set of quads so far. And just think, we are just getting started. This is sweet little Florence and one of her twins. We also had a set of quadruplets last night. I promise to post more pictures soon. My little Rosie got her Spring haircut today. 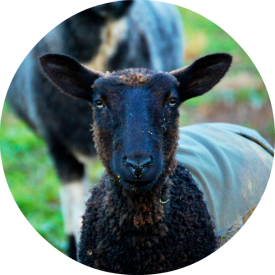 Her fleece was the worst I have ever had and took me for ever to get off her. She had been sick last Fall and had break in it. It was also matted, so into the dryer ball bag it will go. She is such a sweetheart though. She held my hat for me while I trimmed up her tummy. I've been way too busy lately with dad in the hospital, trying to get started on building fence, shearing sheep, and helping our youngest get ready for her big move to CA to be with her hubby, but I did manage to get a little spinning in. I do believe I love this one. It will be for sale over on our farm page on Facebook. I have to admit, I hope it sells or might just HAVE to knit something up for myself with it. I have enough to spin up two skeins of this. I'm not normally really into pink, but this one I really like. 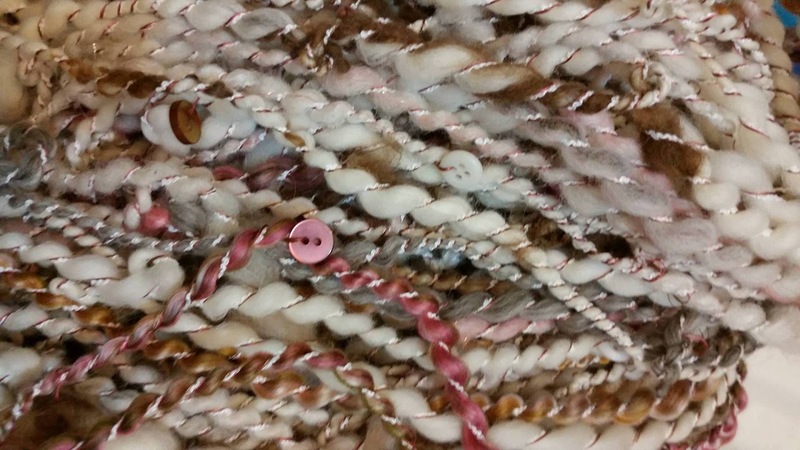 There is just a touch of sparkle in the fiber, some pinks, and then a little bit of brown from Terrible my Finn ram, plied up with a tiny boucle and two pink threads and a button here and there. Oh my, the more I type, the more I like it. 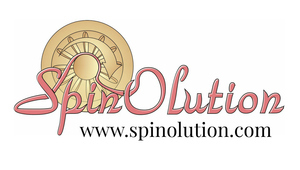 Mt Devon Farm and Fiber is happy to announce it is now a Spinolution wheel dealer. We look forward to sharing more information about wheels, spindles, and helping others along their way on to a wonderful fibery adventure.